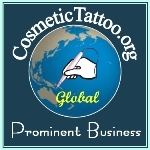 The Bella Company was founded in the mid 1990's and is now widely regarded as the leading manufacturer and marketer of rotary pen permanent makeup machines, accessories, and related products. The Bella machines are reliable and affordable devices for cost conscious cosmetic tattooist. I found the Bella Dragon and its associated parts to be a sturdy and reliable rotary pen. Minimum quantity for "Bella - Sleeves (Dragon BM8)" is 10. Cosmetic Tattoo Machine, suitable for 2 prong and 3 prong needles. Minimum quantity for "Bella - Small Tips" is 10. Minimum quantity for "Bella - Transmission Shafts" is 10.